Andy Burnham – no I wouldn’t have an English Parliament – I am born in Liverpool, of Irish ancestry, of Scottish links in the past and close to Wales. 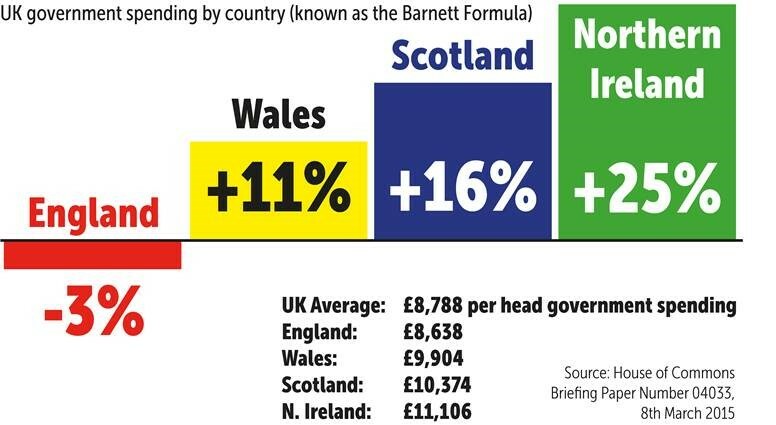 The impact of Andy Burnham’s denial of an English political voice is that the Barnett Formula (the funding allocation for the UK) remains unreformed and unfair to England. (Please see the the graph that shows how unfair the funding actually is to England). YOU WILL BE SHOCKED! The only way that services across England can be stopped from closing is if the Barnett Formula is reformed or abolished.